Moviemaker Maestro Lester James Peries celebrated his birthday yesterday. Sri Lanka’s pioneering director of authentic Sinhala cinema was born in Dehiwela on April 5, 1919.The nonagenarian auteur in a cinematic career spanning more than five decades has stamped his indelible imprint on Sinhala films and in the process elevated Sri Lankan cinema to global heights. If everything goes well, the veteran film maker is likely to receive a fabulous birthday present in a few weeks’ time.What better gift can a creative filmmaker receive other than an “original” of a film considered to be his best ever and regarded as “irretrievably lost” for many, many years?It would indeed be a treasure in every sense of the word! A ‘dupe negative copy’ of his 1970 masterpiece “Nidhanaya”(Treasure) was discovered in January this year in India. The National Film Archives of India based in Pune,India is the repository of Asia’s largest film collection. The original copy described as a dupe negative in celluloid parlance was not one which could be screened but one, from which copies for screening could be made through a special technical procedure. When information of this discovery was broken to him by the BBC Sinhala service “Sandeshaya”, a delighted Lester responded then by saying he was elated at the age of 94 to receive news of a film original he thought was destroyed being found again. The nonagenarian’s happiness can be discerned fully in the context of a situation where he thought his “best” film was”lost” forever. “Nidhanaya” and his earlier film of 1964 “Gamperaliya”(village upheavals)are regarded as the twin masterpieces of the ace filmmaker. Gamperaliya won the Golden Peacock Award for best feature film at the third New Delhi film festival. This was the first time a Sinhala film had won an international award. It also won the Golden Head of Palenque in Mexico. “Nidhanaya” made later in 1970 was entered for the 1972 Venice International Film Festival where the film won the Silver Lion of St. Mark award. It also received a certificate as one of the outstanding films of the year at the London Film Festival. “Nidhanaya” was also included in the global list of 100 best films to be ever made that was compiled by the Cinematheque Institute of France to mark the World Film Centenary. It also won the award at Sri Lanka’s Golden Jubilee of Independence for being the best Sinhala movie in fifty years. It has also won critical acclaim as one of the ten top Asian films for all time. Despite the national and international acclaim earned,it was indeed a terrible blow when Lester James Peries became aware some years ago that ‘Nidhanaya’ was lost forever. What happened was that the UNESCO launched a project, “World heritage of Cinema” some years ago to assemble and preserve a collection of the best films made globally. “Nidhanaya” was selected as a great work of filmic art that needed to be preserved for posterity as a part of world film heritage. UNESCO representatives got in touch with Lester. But when the director and UNESCO officials went to Sarasavi Studio at Dalugama where the Sri Lankan film copies were kept they were in for a shock. They found that the master negative or “mother copy” from which fresh copies are made had decayed beyond redemption due to what is called the “Vinegar syndrome”. This is a state where film copies start gradually deteriorating because of poor or lack of preservation technology. “This was not due to anybody’s failure at the Dalugama studio or the National Film Corporation but due to the failure of all governments that came to power since 1956. The late journalist Ajith Samaranayake and many others fought for a film archive but we were not able to persuade any government,” the disappointed film maker was quoted as saying at the time. It is against this backdrop where “Nidhanaya” was given up as a lost treasure that good news emanated from Pune in India’s Maharashtra State. Film Archives Director Prashant Patharbe told the BBC Sinhala service that the dupe negative had been received in 1974 and had been preserved in good condition due to proper technology. Patharbe said that if an official request was made through appropriate channels it would be possible to produce a good copy and give it to Sri Lanka. Lester James Peries expressed the hope then that interested persons would come forward to procure a copy or copies of ‘Nidhanaya’ from the Pune Film archives. The nonagenarian film maestro’s yearning echoed in the heart of many a film lover and those who are appreciative of Peries’ creations. One of those who took the initiative was an actor who had starred in Lester’s films like “Desa Nisa”, “The God King” and “Veera Puran Appu”.This was none other than Ravindra Randeniya who is now the adviser on Cinema development to President Mahinda Rajapaksa.Ravindra and his son embarked on the task of salvaging the cinematic treasure of Lester James Peries.
" I would also like to reiterate that the best way to honour him is not by renaming roads but to set up a full – fledged film academy or institute .The finest acknowledgement of the man who changed the course of Sinhala cinema and re-drew its line of destiny would be to name that Institution after Lester James Peries "
I spoke to Ravindra Randeniya on the telephone to find out the situation regarding “Nidhanaya”.He told me that certain initiatives had been taken in this direction and the required documentation submitted to the Indian national film archives. Ravindra was full of praise for G.Pathmarajah, the son of “Cinemas” Ltd. legendary film producer and theatre and studio-owner K. Gunaratnam. He said Pathmarajah had been of great help in submitting the documents necessary to procure copy or copies of Nidhanaya from Pune. Ravindra Randeniya said the Indian national film archives was prepared in principle to give Sri Lanka a copy of its celluloid treasure back but unfortunately there was a delay as is customary in South Asian countries experiencing red tape procedures.Randeniya was confident that the mission would eventually be successful but was concerned over the delay for a very good reason. He said there was an offer to screen “Nidhanaya” at the forthcoming Cannes Film Festival scheduled to be held from May 15 to 26 this year. It would indeed be a great honour for Lester now basking in the golden twilight of his life to see his masterpiece screened at the world’s most prestigious film festival but Randeniya’s worry was that the film would not be ready on time because of bureaucratic procedural delays. Ravindra Randeniya revealed that two prints of Nidhanaya had been traced but they were in poor condition and quite unsuitable for screening at Cannes. Copies too could not be made of them. This emphasised the importance of getting a good copy from the dupe negative original in Pune. It was also necessary to get it on time to screen at Cannes in the restored film segment thereby making Lester James Peries a happy man. Incidentally there has been a long standing connection between Lester and the Cannes film festival. His first film “Rekawa” was screened at Cannes in 1957. Lester’s films “Beddegama” and “Kaliyugaya” were screened at Cannes in 1981 and 1983 respectively.Peries visited Cannes festival for the fourth time in 1992 when he served as a member of the Jury at the prestigious event. Randeniya also said that he may have to appeal to Indian envoy Ashok.K.Kantha to use his good offices and help expedite matters in this regard. The High Commissioner has shown keen interest in the promotion of good relations between India and Sri Lanka through cultural exchanges. Helping Sri Lanka to get back a copy of the greatest film made by its greatest film director would be a gesture that would be appreciated widely in the Island. According to Ravindra the World Cinema Foundation established and administered by the famous Hollywood director Martin Scorcese has also evinced interest in “Nidhanaya”. Scorcese established the WCF to restore and preserve great films from all over the world. The foundation’s mission statement says it was “being created to help developing countries preserve their cinematic treasures”. It further says, “We want to help strengthen and support the work of international archives, and provide a resource for those countries lacking the archival and technical facilities to do the work themselves”. Ravindra Randeniya said once a good copy of “Nidhanaya”was obtained it would be sent to Martin Scorcese’s World Cinema Foundation for preservation. I do hope and pray that Ravindra Randeniya would be successful in his efforts on time and that the invitee audience at Cannes gets to view the retrieved treasure of Sri Lanka. 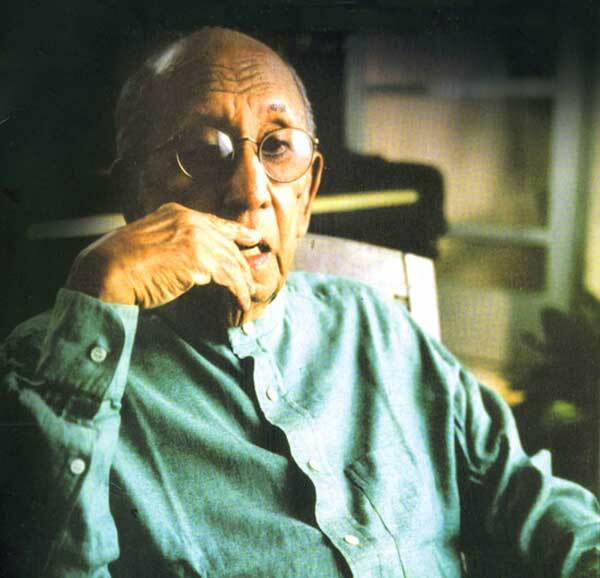 Nidhanaya is the eighth feature film made by Lester James Peries. It is in black and white and 108 minutes long. Gamini and Malani Fonseka play the lead roles and about 75% of the scenes revolve around the pair. Gamini plays Willie Abeynayake superstitious scion of a rich family facing financial ruin. Malani plays Irene his trusting,devoted wife. Sinhala Cinema’s foremost acting duo play their parts to perfection in “Nidhanaya”. K.L. Coranelis Appuhamy and J.R.L. Fernando act as Willie Abeynayake’s elder brother and father respectively while Shanthi Lekha acts as Malani’s mother.Other actors are Saman Bokalawala as Julius, Francis Perera as Juwanis, Trilicia Gunawardene as Dulcie, Thilakasiri Fernando as Diyonis, Kumarasinghe Appuhamy as Gurunanse,Mapa Gunaratne as the doctor, Thalatha Gunasekara as the Nanny and Barry Whittington as the Government Agent. Willie comes across such a woman in Irene played by Malani Fonseka. He marries her but does not consummate the marriage as he wants her to retain her virginity. Willie falls ill and is nursed back to health by the loving wife. Nevertheless Abeynayake goes ahead with his original plan and kills his devoted wife at the opportune time and location because of his need and greed for the Nidhanaya or treasure. Actually he does get a treasure in his good and devoted wife but does not realise it and is prepared to sacrifice the living treasure to gain material treasure. His hopes are dashed when the predicted treasure does not materialise. He returns disillusioned and commits suicide. The cinematography is by M.S. Anandan who used Ilford film instead of Kodak to bring out in sharp contrast to show the blacks and whites. “Nidhanaya” is supposedly the only Sinhala film to be shot entirely in Ilford film. Premasiri Khemadasa does the music score the highlight of which is a Western waltz composed by the music maestro. The waltz is danced by Gamini and Malani with seven costume changes. Nidhanaya is based on an original short story by G.B. Senanayake the journalist,poet and writer who went blind in the latter stages of his life. Peries apparently paid Rs.10,000 for rights to the story. Incidentally G.B. Senanayake’s birth centenary falls in August this year. The story was then reworked into a film script by Tissa Abeysekera who won an OCIC award for best screenplay for “Nidhanaya”. 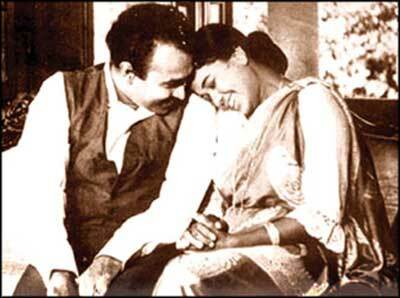 The film is one of the very few Lester films where his wife Sumithra does not do the editing. This was because she was then in France on a scholarship. In her absence Lester himself took the plunge and together with Gladwyn Fernando and Edwin Leetin did the editing. J.A. Vincent Perera was the Art director. P.E.E. Anthonypillai produced the film on behalf of Ceylon Studios.
" Despite the national and international acclaim earned,it was indeed a terrible blow when Lester James Peries became aware some years ago that ‘Nidhanaya’ was lost forever. What happened was that the UNESCO launched a project, “World heritage of Cinema” some years ago to assemble and preserve a collection of the best films made globally. “Nidhanaya” was selected as a great work of filmic art that needed to be preserved for posterity as a part of world film heritage "
The bulk of the shooting was done at an archaic mansion in Rajagiriya that had antique furniture and peacocks as pets in a cage. The house itself can be perceived as a pivotal character in the film around which the story is woven. In later years Lester’s “Wekande Walauwe” also featured a mansion by the lake as a central feature. The shooting of the film took more than seven months as both Gamini and Malani being busy film stars could be available for only five days each month for “Nidhanaya”. Usually Lester shoots his films at a stretch without breaks but here it was not possible. Despite the breaks the continuity was maintained with great intensity by both Gamini and Malani who complemented each other. Some of the great sequences in “Nidhanaya” relate to the thespian prowess of both. In the waltz sequence both had to enact the dancing steps in natural slow motion as there was no second camera available to shoot in slow motion. So both coached by Keerthi Sri Karunaratne practised the steps and then danced for the camera in exaggerated slow movements. This was a feat that required perfect coordination and both Fonsekas rose to the occasion and did themselves proud. Another scene where Malani excelled was when Gamini suddenly slaps her and berates her. Malani acts startled and upset perfectly. What really happened was that Lester and Gamini did not reveal how the scene was going to be shot to Malani. She did not know that Gamini was going to hit and shout at her. So when it did happen she was naturally shocked and surprised. The result was a superb piece of “natural” acting. Lester and Gamini tried a similar ruse in another scene. This was the one where Gamini was to have an epileptic fit. Gamini himself had doubts whether he could act out that scene well. So at the right time Gamini suddenly started having an epileptic fit. Since only Lester knew beforehand the other actors and technicians were all taken aback at the sight. The actors lost their cue. The cameraman dropped the camera. As a result the entire scene had to be filmed again but Gamini was now assured he could pull it off. Another bizarre happening was the birthmarks phenomenon. According to G.B. Senanayake’s story the virgin woman to be sacrificed was to have four birthmarks.In an unbelievable coincidence MalaniFonseka had the identical birthmarks in the exact places. When told of this G.B. Senanayake refused to believe it. Later he felt the birthmarks by his fingers and shed his disbelief. Nidhanayahas been compared by some to “Jalsaghar” by Satyajit Ray which is about the last days of a Zamindar or landlord in rural Bengal. The film made in 1958 illustrates the decaying collapse of the old order. Nidhanaya does likewise though Peries was not inspired in this instance by Jalsaghar. It is a fact that India’s greatest film maker Satyajit Ray considered Lester to be of the same mould as him and once referred to the Sri Lankan as his “closest relative East of the Suez.”In spite of the creative affinity between the two, Peries was not influenced by Ray when he made his first film”Rekawa”. RegiSiriwardena told this writer once that Lester had not seen “PatharPanchali” or “ApuSansar” when he first made” Rekawa”. Regi who had worked as scriptwriter with Peries on some films said that the first Ray film viewed by Lester was “Aparajitho” and that too only after “Rekawa “was made.“It is a classic instance of two great Asian directors being of the same creative wavelength and proceeding on a parallel course independent of each other,” Siriwardenasaid at the time. “Nidhanaya” is a film about both the decay of the prevalent social order and the disintegration of an individual. It is a dark moody film and is shot in a style evocative of the term “film noir”. It is in a way different from most of the films directed by Lester James Peries. Let me briefly look into the cinema of Lester James Peries by drawing on some of my earlier writings.
" “Nidhanaya” is a film about both the decay of the prevalent social order and the disintegration of an individual. It is a dark moody film and is shot in a style evocative of the term “film noir”. " Let me end this article with the fervent wish that RavindraRandeniya’s efforts are successful and that the cinematic treasure of Lester James Peries is retrieved and restored to its former glory. I look forward to the day when I along with fellow Lester aficionados can watch “Nidhanaya”again on the big screen. Even as I conclude by wishing Lester James Periesmany more years of a serene, golden twilight I would also like to reiterate that the best way to honour him is not by renaming roads but to set up a full – fledged film academy or institute .The finest acknowledgement of the man who changed the course of Sinhala cinema and re-drew its line of destiny would be to name that Institution after Lester James Peries.